Find out how family weddings and social events inspired to launch LeahC Event Childcare, which provides onsite creche facilities with experienced, qualified, uniformed staff for special events, including weddings. I began my career working with children at the early age of 16, starting with part-time work in the school holidays and continuing to expand my experience by volunteering in a special needs school and then teaching swimming lessons and travelling aboard to work in orphanages. At the age of 18, I followed my passion and began studying BSc Childhood Studies at the University of Bristol. An insightful and exciting three years later, having graduated, I knew I wanted to set up a Childcare business. However, I felt I needed some corporate knowledge, so I joined EY to build my knowledge and experience to help develop the foundations to start my own business. 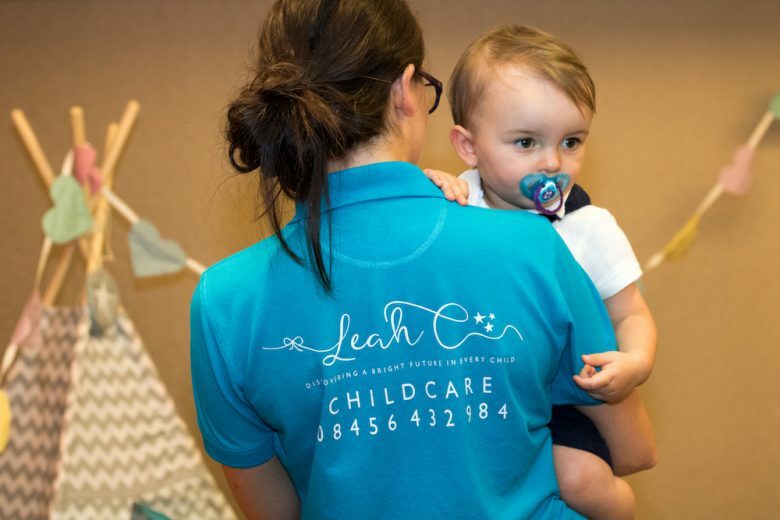 Now, a few years later and having exited the corporate world with a wealth of childcare and business experience behind me, I now run my dream business: LeahC Event Childcare. Where did the idea of LeahC Event Childcare come from? Having attended many weddings and social events (I come from a large close-knit family), it was noticeable that many parents were leaving the events early because their children were bored or did not attend at all. It seemed a shame that the children were not being entertained and in turn, the parents were not enjoying themselves. With my dream of setting up a childcare business still firmly in mind, I had now found my niche; and LeahC Event Childcare was born. LeahC Event Childcare fills a huge gap in the market and meets the needs of parents who has a busy lives but still want to enjoy their precious free time whilst being the best parent they can. Providing a high-quality service ensuring rigorous selection of staff and equipment. Whether its a couple planning their wedding, event planners sourcing a childcare service, parents planning a first birthday party; LeahC Event Childcare caters for all! Mainly through recommendations from event planners, caterers and other parents. In the childcare industry, I’ve noticed parents are most likely to trust someone that has been recommended to them. We are also very active on Facebook and Twitter. My proudest moment so far was when I held my first event at the Sofitel London Heathrow Hotel. It was the first time I saw my creche come together after months of perfecting the right equipment. Seeing my staff looking professional and the children having so much fun in a safe and stimulated environment was the moment I had been working towards my whole career. We also received some lovely feedback from the client, parents and children. My biggest inspiration would have to be my parents. They have installed a great work ethic into me and my siblings and are both very successful business people. My mum runs Savran Ltd, a coaching and consultancy firm and my dad is a Senior Portfolio Manager at an Asset Management company. They truly lead by example and inspired and encouraged me throughout my journey. I would love to do the very same to my own children one day! Be open to change; when you start up a business things don’t always go to plan, and you must embrace changes along the way. Reflect! Learning from ups and downs are as important as each other. Be in the moment and love the journey! Being an entrepreneur, there are a lot of highs and lows but you have to keep reminding yourself to enjoy the journey regardless. You can find out more about LeahC Event Childcare on their website.